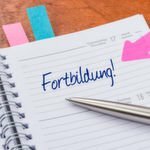 Karlsruhe, December 15, 2015 – Berlin-based VERBI GmbH, one of the pioneers in its industry and a trailblazer in the field of software solutions for qualitative data analysis, is entrusting asknet AG with the verification process for online sales of VERBI products. The incorporation of the asknet verification process in existing standard shop systems as well as in individual solutions is very simple. The solution’s convincing qualities include the complete processing of both digital and manual verification methods. The verification process is supported in more than ten different languages to serve the most important markets in Europe, the Americas and Asia. “With asknet Verify, we have found a solution that completely meets our requirements in terms of quality, internationality and simple integration,” says Anne Kuckartz, CEO of VERBI GmbH. Berlin-based VERBI GmbH is known for its data analysis software MAXQDA 12. The software program is universal for the Windows and Mac operating systems and is used across the globe in science and research for the evaluation of unstructured data such as interviews, newspaper articles, surveys, focus groups, social media, audio and video recordings, literature and more. In addition, the software is not only used in highly professional contexts like national and international research projects, but also by educators and students in various fields within the framework of university education. Further information can be found at www.maxqda.com. 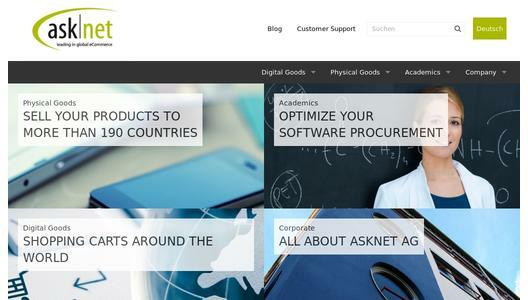 asknet, a pioneer in the development of global e-commerce solutions, offers extensive expertise and individual shop solutions to ensure worldwide electronic distribution of products of all kinds 24/7 in more than 190 countries. Customers benefit in selling digital and physical goods from both the possibility of handling a variety of international payment and logistics processes as well as the extensive experience of the company in the development and operation of successful e-commerce platforms. Founded in 1995 as a spin-off of the Karlsruhe Institute of Technology (KIT) the company is also a partner of around 80 percent of German universities and research institutions. Here asknet offers as a large account reseller for manufacturers such as Adobe and Microsoft a comprehensive range of software licenses and services related to the procurement and distribution of software. In addition, asknet distributes via the established internet platform "studyhouse.de" a wide range of software to students. In 2014 the company generated transaction revenues of more than 100 million euros. For more information, visit www.asknet.com.